Since that weekend in Wisconsin, Collins published the book he was working on. 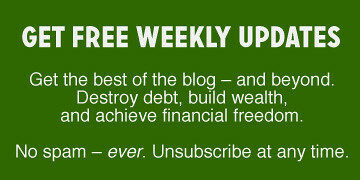 The Simple Path to Wealth presents the advice from his blog in a coherent, unified package. It's an easy-to-understand primer on stock-market investing — and financial independence. Save half of your income. Invest your savings in low-cost index funds. Ignore the news — and your friends. Like me, Collins believes the investment industry has a vested interest in making the process seem complex. Investment pros want you to believe that saving for retirement is complicated, and that you need help to be successful in the stock market. Plus, there's the problem that many advisers profit from encouraging you to move your money around. Over the years, I've come to appreciate Collins as a story-teller. The Simple Path to Wealth contains fun anecdotes from his own life, but it also incudes some colorful metaphors and parables. There are those that view frugality as sacrifice. They feel like they're giving more than they get. Collins would argue that the opposite is true: A high saving rate grants you freedom. As counter-intuitive as it seems, learning to live on less allows you to get more out of life. Imagine [somebody] has poured [a beer] for you, out of sight, and into a dark mug you can’t see through. You have no way of knowing how much is beer and how much is foam. That’s the stock market. It is the beer: The actual operating businesses of which we can own a part. It is the foam: The traded pieces of paper that furiously rise and fall in price from moment-to-moment. This is the market of CNBC. This is the market of the daily stock market report. This is the market people are talking about when they liken Wall Street to Las Vegas. This is the market of the daily, weekly, monthly and yearly volatility that drives the average investor out the window and onto the ledge. This is the market that, if you are smart and want to build wealth over time, you will absolutely ignore. When you look at the daily price of a given stock, it is very hard to know how much is foam. This is why a company can plummet in value one day, and soar the next. This is why CNBC routinely features experts, each impressively credentialed, confidently predicting where the market is going next — while consistently contradicting each other. It is all those traders competing to guess how much beer and how much foam is actually in the glass at any particular moment. While this makes for great drama and television, for our purposes it is only the beer that matters. It is the beer that is the real operating money making underlying businesses, beneath all that foam and froth, that over time drives the market ever higher. Collins offers specific recommendations for self-directed investing, and carefully explains the rationale behind his conclusions. He also translates studies and stats into easy-to-understand English, which is no mean feat! I think most Get Rich Slowly readers are comfortable with the idea that they're responsible for their career, for their budget, for their home. But I receive a surprising amount of email from folks who are apprehensive about investing. People are willing to act as the family CFO when it comes to generating a personal profit — but they don't know what to do with the money they begin to accumulate. Like Kim, they turn to “professionals”. A lot of new investors are timid. They don’t want to make mistakes. They believe they need to pay somebody to help them, that the stock market is complicated, or that they can pick winning stocks. Go to the library. Borrow some books on smart investing. Learn what stocks and bonds are and how the markets work. Teach yourself to invest in low-cost index funds. Ask questions. Be willing to make a few early mistakes. Take charge of your financial future! I heartily recommend The Simple Path to Wealth. Whether you purchase the info in book form or consume it for free via his website, Collins can help you make the move from adviser-dependent to confident DIY investor. Are you an Audible subscriber? 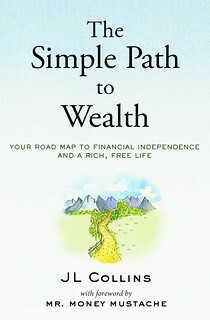 Are you interested in a free copy of the audiobook version of The Simple Path to Wealth? Jim Collins has provided me with two (and only two) promo codes for Get Rich Slowly readers. If you're interested (and use Audible), let me know in the comments. On Sunday, I'll randomly select two of the interested commenters to get the book on audio! There are 30 reader responses to "Book Review: The Simple Path to Wealth". Having a resource that puts wealth and savings into bit-size chunks for us simple folk is perfect! Thank you introducing this book on your site. I’m just now looking to move my husband and I’s retirement funds out of the large investment company they’ve been with for years, but am a bit nervous in doing so and would appreciate any tips to be learned in Mr. Collins’ book. We’re in our early forties so still have some investing time ahead of us before we draw down the funds. I would be grateful if I could receive an Audible copy, but will be on the lookout for this book regardless. Thank you! I really enjoy this subject and would like to win the book! Seems like it might be worth the read I will have to check it out. I would love a free copy but, I have since canceled my audible subscription as I felt there are cheaper options available such as the library. I assume that makes me unavailable for this though the post on his website looks promising. Personally, I like dividend stocks because as long as they have good history/don’t discontinue dividend you are getting good return on the investment. I’m in to listen this book. I’d really appreciate the opportunity to learn. I’d be very interested in a Audible copy. I would like the audio book. I’ve been meaning to read his stock series for while. I’m more of a portfolio investor but would be interested in learning Collins’ method. Would love Jims book in Audible, its the only way I get to consume books at the moment with kids keeping us busy. I would love to have a copy of the audiobook. I am a senior in Canada. Unfortunately information wasn’t as readily available in my earlier years and now I am playing catch-up and enjoying life. Would to like to keep on accumulating FU money for pleasure in my husband’s and my golden years. Just a question this article reminded me of. I assume you don’t like covered calls as a way to get rich quick. I hadn’t heard of covered calls before. The investor club at work gave a presentation on them and basically said it is like renting out your house instead of waiting for the value of your house to appreciate. 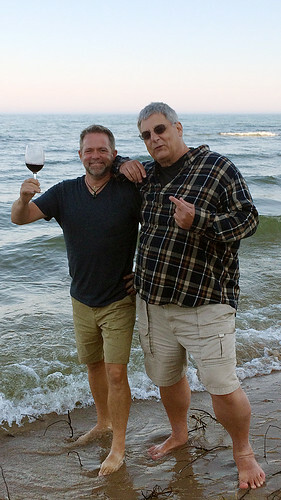 They mentioned retirement a lot and being more active with our company roth 401K funds. They were very excited and talked a lot about 4% per month returns. I assume this is all hype. I don’t agree that people who trade an average of twice a day are making better decisions than I am in the long run. Anyone making 4% per month wouldn’t still be working a day job, they would be a billionaire. But I haven’t heard of this concept of covered calls before. Could you do an article about what it is and why people shouldn’t get caught up in the hype? I would appreciate the audible as well. Thank you. This seems like incredibly helpful information. I would appreciate a copy. Thank you! Reviewed on Get Rich Slowly! My book has truly arrived. I have love to have the audible book by Mr. Collins. I am 26 and starting out my FI journey with investing in index funds. There are lots of young people around me that are struggling to control their finances and I want every tool to help me and advise them on what to do early, so that we don’t burden society later. I just finished listening to my first book on Audible and need something new to listen to. This book would be a super way to ring in the New Year. I’d love to have a copy. Would love the audible book! I read 2-3 books a week, all from this library. The Simple Path to Weath wasn’t at my library so I bought it-the first book I purchased in 3 years! I read through it in a couple of days and really enjoyed this book. It has a story telling feel to it which makes it different from other personal finance books. In addition it goes beyond the budget, save 10%, and find a financial advisor emphasis other books have. My favourites were the last few short chapters which felt like Mr. Collins was adding in tips he thought we ought to know before he wrapped up. What I liked most about this book was it went from simple money management tips to more advanced ideas. I’d love the audio book as well. I would love audio book. Would love a copy & glad you’re back on the blog! As a grandmother raising her two grandchildren (after my daughter’s death in 2012), I can use all the help I can get to make funds last. Please know I’d love a copy of Collins’ book, and I am an AUDIBLE customer. If both promo codes are not used up then I would like audiobook please.. This is the Best Fiance Book I have Ever Read. You learn something from every Book both this one is so simple to read & understand. My Story, I am a Realtor but I am such a Big Fan of saving for your future & retirement that I buy this book in Bulk and hand them out to my clients.